Excerpted from The (ACLU) Open Forum, November 1960. By most indicators, Linus Pauling seemed to have won his battle with Senator Thomas Dodd and the Senate Internal Security Subcommittee. Though he had been forced to endure long hours of questioning and testimony, he was, in the end, not punished for withholding the names and correspondence of those associates who assisted him in the circulation of the 1958 United Nations Bomb Test Petition. Not only had he maintained his principled position, he had also avoided a contempt citation, a messy follow-up in the courts and, above all, jail time. The purported epic struggle between Dr. Linus Pauling and the Senate Internal Security subcommittee has ended not with a bang but a whimper. What was supposed to be a showdown hearing this week came to no showdown at all. Dr. Pauling was excused without any orders to produce the documents he had refused to produce. While the hearing failed to fulfill the expectations of many, they were still subject to their own scandal and intrigue. In particular, Dodd’s partially read opening statement became a major point of contention in the hearing’s aftermath. Having initially objected, Pauling and his counsel, in the midst of the hearing, had allowed Dodd to insert his full written opening statement into the official record without reading it aloud. And as it happened, the opening statement that appeared in the record was very much at odds with the one that had been partially read aloud to Pauling and those present at the hearing. A close analysis suggests that Dodd seems both to have read early parts of the statement selectively and to have strategically stopped reading the opening statement just before blanket accusations of communist influence could be uttered in public. This committee has a continuing and longstanding interest in all phases of Communist propaganda, because as a part of our legislative duties we must constantly ask ourselves the question: What Communist propaganda activities are being engaged in, or are having an impact upon the internal security of this country, which can be countered either wholly or in part, by legislation? The Communists are constantly developing new techniques and revising old ones. We cannot, at any time, assume that legislation already on the books is giving our country the greatest possible protection from the Communist conspiracy. We must be constantly on the alert to uncover as much as we can of Communist activities and Communist techniques, and then apply ourselves to determine whether what we have found justifies recommendations to the Senate for proposed new legislation. While Dodd’s complete opening statement was possibly the most outlandish addition to the hearing’s official record, other controversial items were inserted following (and possibly resulting from) Pauling’s vehement post-hearing objections. Though most of the appendices following the official testimonies for the October hearing are mundane replications of court documents, petition signatures and pre-hearing correspondence, a special final report was included in the last few pages of the full official record. Compiled following the hearing, the report takes all aspects of recorded testimony into consideration and provides its own final analysis. Given that certain section titles of this report are titled “Dr. Pauling’s role in the international Communist ‘peace’ offensive,” and “The Communists come to the defense of Dr. Pauling,” one can correctly assume that the tenor of the document was hostile toward Pauling’s positions. The conclusion of the report seems to synthesize the final opinion of Dodd and his associates – an opinion reached after months of sour and drawn-out dealings with the famed chemist. The subcommittee believes that study should be given to the possibility of legislation which will make it more difficult for the Communists, and those who collaborate with the Communists, to abuse the right of petition by utilizing it for their own subversive ends…. The subcommittee therefore recommends that hearings be held for the purpose of examining various legislative possibilities in this area. Pauling seems not to have yielded any unnecessary ground throughout the hearings, but it is difficult to declare a clear winner in the wake of the conflict. On one hand, Pauling was not forced to comply with the committee’s request to hand over his letters of transmittal, but the committee, in turn, was never forced to acknowledge or admit that its questioning was improper. Likewise, by choosing to not pursue contempt proceedings, the committee was able to avoid a very dangerous constitutional showdown, but was still able to hint at the full extent of its wrath to any future would-be challengers. Pauling freely discussed his fight with the SISS following the hearings – and strongly considered writing a book about it – frequently framing the experience as an attempt to suppress his constitutional rights. At a speech delivered one month after his hearing to the Colorado Chapter of the American Civil Liberties Union, Pauling provided an indication of the feelings of injustice that lingered within him. I believe that Senator Dodd has the right to advocate that a change in our government’s policy be made, but that it is a misuse of his powers as Vice-Chairman of the International Security Subcommittee of the U.S. Senate to harass me and to attempt to suppress me in the exercise of my right as an American citizen to work for international agreements for cessation of nuclear tests and ultimately for universal and total disarmament, with the best possible system of control and inspection. Let us demand that Congress abolish this committee, which is a disgrace to the Congress of the United States, to the nation itself, and to the American people. By several accounts, Pauling took the proceedings very personally. And as a consequence, the resentment that he harbored was not slaked simply by public condemnation of Dodd and the subcommittee. During the year after his hearing, Pauling launched five libel suits against several newspapers and organizations that published what he considered to be defamatory statements. Following a dispute with founder Norman Cousins, Pauling also discontinued his association with the Committee for a Sane Nuclear Policy, and was even on the verge of suing the Bulletin of the Atomic Scientists, a magazine that had been nurtured by Einstein’s Emergency Committee of Atomic Scientists. His participation in the Pugwash conferences also ended for a time (despite his unwavering defense of them during the hearing), because organizers continued to invite individuals that Pauling no longer viewed favorably. In the final analysis then, after months of bitter altercation, Senator Dodd and his committee had managed a feat that few others had accomplished – the unsettling of Pauling’s nerve. While at first blush it appeared that he had ended his experience with the SISS as a hero of the peace community, Pauling’s characteristic pride and resolute constitution did not make it through unharmed. – A. L. Wirin, Telegram to Senator Thomas J. Dodd, October 10, 1960. 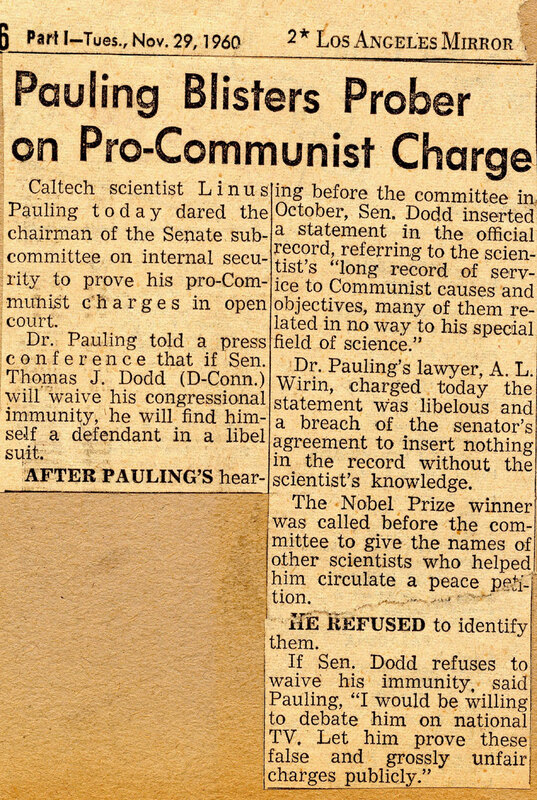 The telegram excerpted above was sent from Linus Pauling’s counsel to Senator Dodd’s office the afternoon before Pauling’s hearing was set to take place. And, as might be expected, it was not well received. Indeed, the action was apparently so insulting that Senator Dodd felt compelled to address the matter during his opening statement at Pauling’s hearing, which did in fact take place the following morning. According to Dodd, the move was a “deliberately contemptuous challenge to the authority of the Senate of the United States.” The telegram, as Dodd disdainfully related, was followed several hours later by a press conference where Pauling declared that he would not appear at the hearing as scheduled. Similar complaints comprised a substantial portion of the senator’s opening statement, the sum of which was a general reprimand of Pauling and his counsel. The scolding, like much of the affair, seemed in tone and language to be directed not at Pauling and Wirin, but rather at the wider audience of the day’s events. In this vein, Dodd related in carefully scripted detail his reaction to Pauling and Wirin’s last ditch effort to delay the hearing. According to Dodd, he subpoena that Pauling received at his hotel the night before had resulted directly from this turn of events. And so began Linus Pauling’s hearing, as scheduled at 10:35 AM, in the New Senate Office building on Tuesday, October 11, 1960. Present on the Senate Internal Security Subcommittee was Senator and chairman Thomas J. Dodd, chief counsel Jules G. Sourwine, director of research Benjamin Mandel and chief investigator Frank Schroeder. Other senators that had been present for Pauling’s June hearings were noticeably absent, and a recitation of Nebraska Senator Roman Hruska’s telegram, which apologized for his absence, was the first order of business for the day. From there, addressing the various media elements present, Dodd ordered that there was to be no recording of the proceedings and that only a two-minute time window for photos would be allowed. After voicing his frustration with Pauling for the events immediately leading up to the hearing, Dodd made sure to clarify once again that Pauling was not on trial. According to Dodd, the purpose of the occasion was simply to “secure information, on the record, under oath, which will be helpful to the Congress in the discharge of its legislative duties.” Those present were meant to understand that the hearing was necessary for proper legislation. Dodd also took pains to address perceptions by some that the dispute with Pauling had somehow jeopardized the right to petition, sharing his opinion that the subcommittee had violated no rule of law. Imbued in the atmosphere of the day, however, was the threat of a contempt of Congress charge, an offense that could lead to imprisonment should Pauling fail to comply with each of the subcommittee’s requests. After reading a part of his drafted opening statement, Dodd suggested that he not finish, but instead insert the full opening statement into the official record following the testimony. After a few objections and some discussion, Pauling and Wirin accepted the action and the proceedings were allowed to continue. Chief counsel Jules Sourwine then introduced a number of pleadings which were ordered into the appendix of the official record. Afterward, Dodd and Pauling discussed turning over the bound signatures from the United Nations bomb test petition for photostatic copying, and agreed to have them added to the hearing record. Once these details had been cleared up, Dodd finally came to the question that everyone had been waiting for: Had Pauling brought with him all letters of transmittal? Would he provide the subcommittee with the names of those who had helped him to compiled the petition? After a series of comments, wherein Pauling requested assurance that he would have a chance to clarify his decision and respond to the remarks of Dodd’s opening statement, he answered Dodd’s long awaited question. I have not brought with me the documents, namely, ‘the letters of transmittal by which or in connection with which such signatures were transported to you or received by you,’ for the reasons that I presented in detail at my hearing on the 21st of June, when I was asked if I would tell the subcommittee who had gathered the signatures, and how many signatures each person had gathered. And I replied that I would not do this because I was unwilling to subject people who are innocent of any wrongdoing to the reprisals of this subcommittee, that my conscience would not permit me to sacrifice these innocent people, some of whom had been without doubt led into this activity by their respect for me, in order to protect myself. For much of the remainder of the hearing – which extended into the afternoon past a lunch break – chief counsel Sourwine took control of the proceedings. In so doing, Sourwine meticulously questioned Pauling about his association with thirty-four organizations and twenty-five individuals that had come under the suspicion of the subcommittee. Pauling replied to most inquiries with characteristic wit and humor, and Dodd was often forced to gavel down the frequent bouts of laughter that resulted from Pauling’s answers. Though the hearing was by most measurements stern and rather grim, one gains the impression that Pauling was enjoying himself at least a little bit during his testimony, perhaps relieved that Dodd had blinked on the issue of Congressional contempt. Sourwine’s interrogation continued until the very last minutes of the hearing. The final line of questioning was directed at Pauling’s involvement with the Pugwash conferences, which like most individuals and organizations mentioned during the proceedings, was accused of acting as a tool of propaganda and suffering from undue communist influence. Pauling was given a chance to address these final suggestions before the hearing was ended, quite suddenly, after Sourwine stated that he had no more questions for the witness. After roughly six and a half hours, Linus Pauling was officially excused from his subpoena and the subcommittee was adjourned. The merit of the October hearing is brought greatly into question by a simple comparison of the purported purpose and final results. By most measures, the subcommittee failed to produce any new or relevant information for its own use during its questioning of Pauling. Instead, the hearing seems to have been used to let the press and others know what the subcommittee found out about Pauling contacts and associations during months spent dredging through his past. It likewise appears that Dodd understood well before the trial that public sentiment and media exposure would not allow him to charge Pauling with contempt. But Dodd was loath to let Pauling escape unscathed, and as a result the hearing proceeded as scheduled. So Pauling stood up to the committee, refused to release information he felt in appropriate, and escaped a contempt charge. But what of other damages to his reputation in the public sphere? 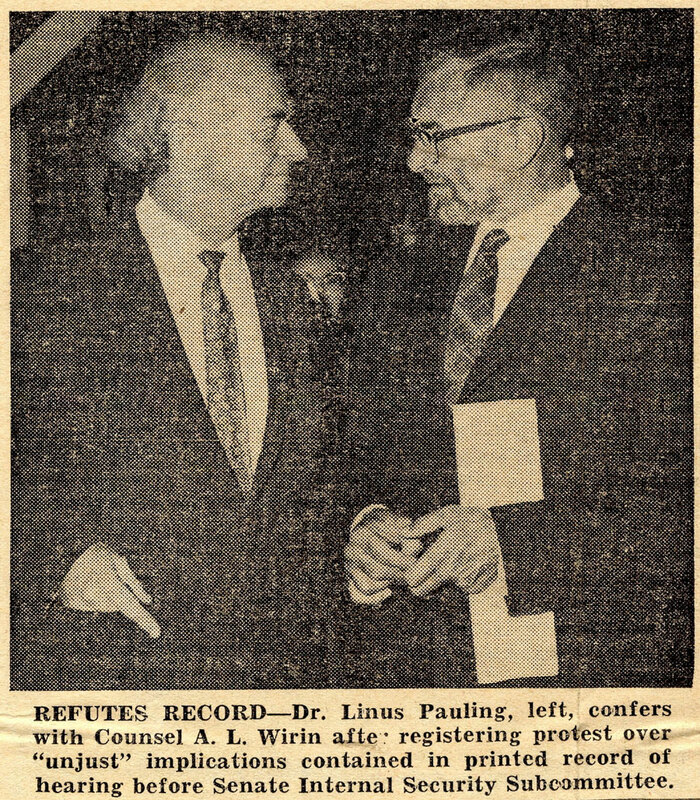 According to Harry Kalven, Jr., a law professor from the University of Chicago who researched aspects of the case extensively, the results of the day, in regard to Pauling’s alleged communist affiliation, were not so damaging as might have been supposed. 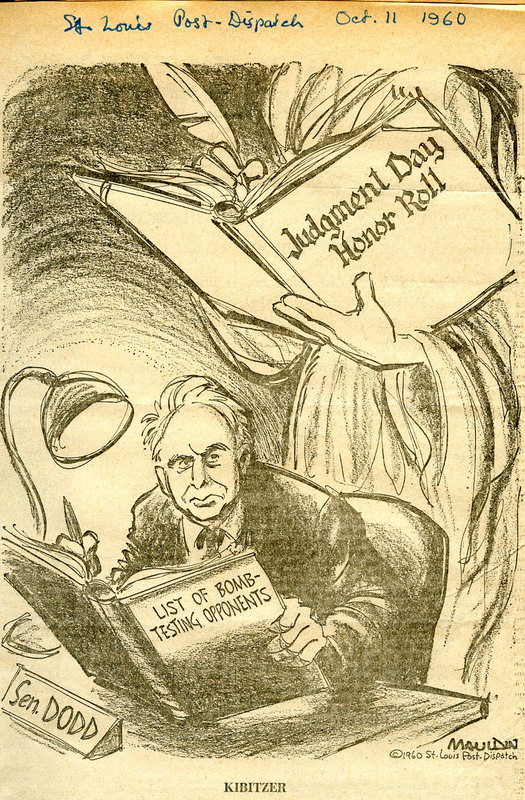 What emerges then as ‘his long record of service to Communist causes’ is that he favors repeal of the Smith and McCarran Acts; that he has doubts about the justice in the Rosenberg and Sobell cases; that he did not like the deportation of Hans Eisler or David Hyun, a Korean about whom he makes a particularly effective statement; that he favored abolition of the Attorney General’s list; that he protested the treatment of the Hollywood Ten before the House Un-American Activities Committee in 1948; that he opposed the contempt citations against defense counsel in the Communist trials and the proceedings against the Jefferson School under the McCarran Act; that he thought the Hollywood Committee on Arts, Sciences, and Professions in which he, along with Mrs. Roosevelt, was active around 1948 was a useful idea; and that he has a deep concern about world peace which leads him to participate in many movements for it. In other words, the red-baiters had precious little to add to their dossier. From Pauling’s perspective, after months of planning, stress and legal maneuvering, the hearing went about as well as could have been imagined. Editorial cartoon by Bill Mauldin, St. Louis Globe-Dispatch, October 11, 1960. In June 1960 Linus Pauling was ordered to appear before the Senate Internal Security Subcommittee (SISS) at the behest of then committee chairman, Senator Thomas J. Dodd. The hearing, which revolved primarily around the circulation of an international petition to the United Nations against nuclear testing, ended in a refusal by Pauling to answer several committee questions. Pauling was ordered to appear again before the committee six weeks later on August 9th, and to bring with him a copy of all petition signatures. Pauling was also directed to bring all petition correspondence, as well as any documentation from respondents that had returned more than one signature. This second hearing was eventually moved to October, giving Pauling and his defense attorney, A. L. Wirin, time to review Pauling’s options and plan for their case. The extra time also gave Pauling a chance to fulfill obligations that he had assumed before his unanticipated summons. Pauling departed for Europe with his wife Ava Helen shortly after his first engagement with the SISS. Though he was forced to shorten his trip because of complications associated with the upcoming hearing, he still managed to spend three weeks in England and Switzerland. The trip overseas promised a mix of recreation, professional visits and diplomatic endeavor, but a significant motivation for the journey was to attend the Tercentenary Celebration of the Royal Society. Pauling flew to London on Thursday, July 14, after which he attended a number of lectures and receptions, visited Oxford and went to the Glyndebourne Opera in Sussex. He also gave several talks about his most recent experiences, but spent most of his time discussing international disarmament and world peace. While in Europe, Pauling visited with ambassadors from Great Britain, the Soviet Union and the United States, including a forty-minute appointment with the United States Ambassador to the United Nations, James J. Wadsworth. According to notes recorded after the meeting, the ambassador was very supportive of Pauling’s work and with his unwillingness to turn over the names of people who had circulated petitions. Wadsworth also shared the opinion that the position framed in Pauling’s petition, when it was written three years earlier, was now official government policy. Wadsworth encouraged Pauling to continue working on the grassroots level, and also reassured him that no one in Washington could stand up against public opinion, a validation of Pauling’s pre-trial tactics to garner public support. The meetings, and the trip in general, seem to have lent Pauling comfort as he made his way back to Pasadena and the upcoming confrontation with Senator Dodd. 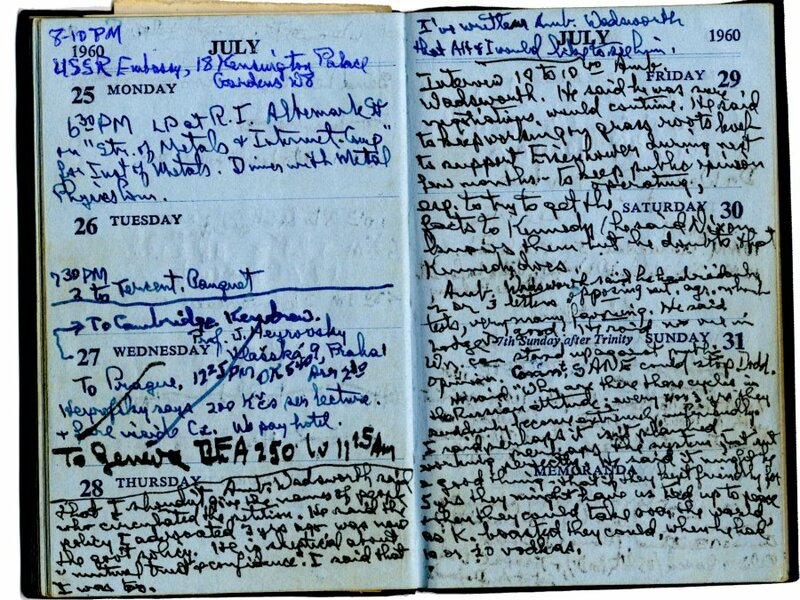 Notes by Linus Pauling recounting his meeting with Ambassador Wadsworth, July 1960. Press coverage following Pauling’s first trial was largely sympathetic. In the months intervening between the June and October hearings, many more articles were published which mentioned the case generally and provided a neutral presentation of the facts. A majority of the print media content, however, came in the form of letters to the editor, editorials and opinion articles written from all over the country. While less prevalent, coverage of Pauling’s trials was not limited to the national level, and several news articles about Pauling’s confrontation with the SISS appeared in the international press, primarily in Europe. The opinion articles written about the matter tended to take one of two positions – either framing Pauling as a supporter and contributor to communist causes, or as the victim of unscrupulous political prejudice. 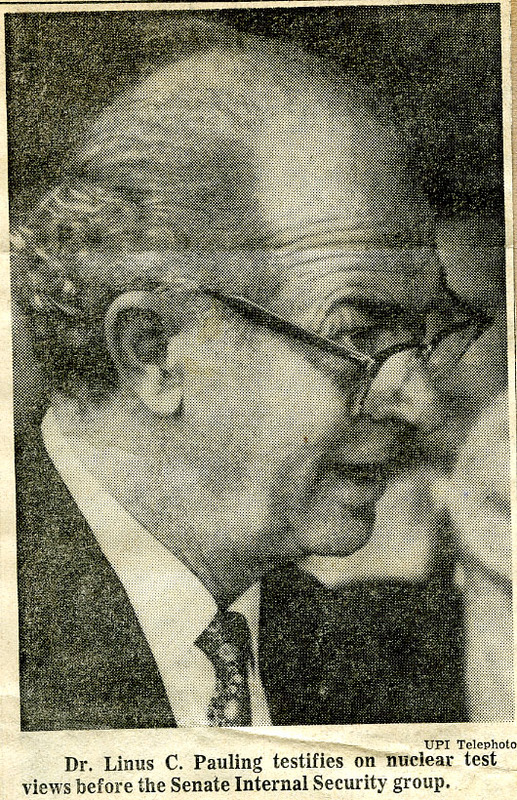 Norman Thomas, writing in the Post War World Council Newsletter, exemplified the first approach. 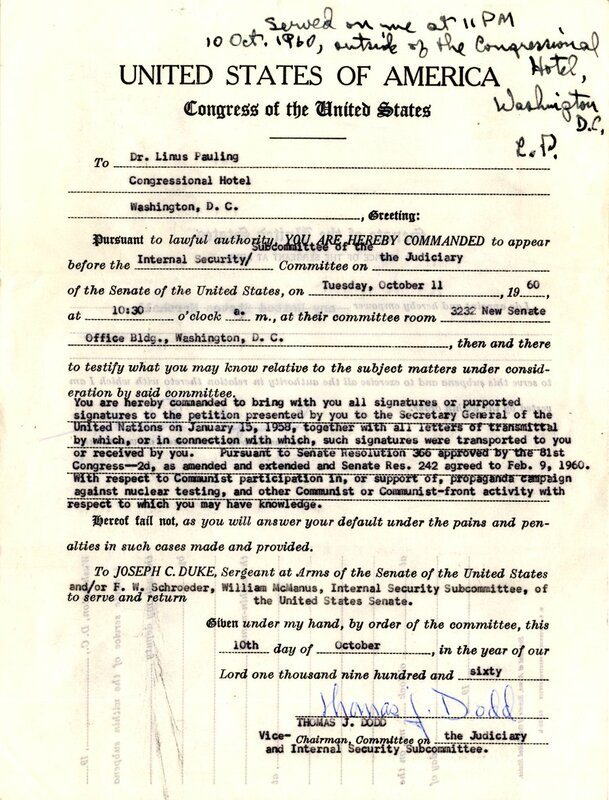 Dr. Linus C. Pauling has been subpoenaed to testify ‘on Communist participation in, or support of, a propaganda campaign against nuclear testing.’ The subpoena was issued by the Senate Internal Security Subcommittee. This gratuitous intrusion of a Senate committee is not born of any reasonable fear of Communist propaganda but rather of desire to stop any criticism of any resumption of nuclear tests. The committee might more usefully subpoena Dr. Edward Teller to ask him about self-interested corporation and military support of the continuation of testing. On the other end of the spectrum were the likes of Fulton Lewis, Jr., who is excerpted here from the Washington Report. 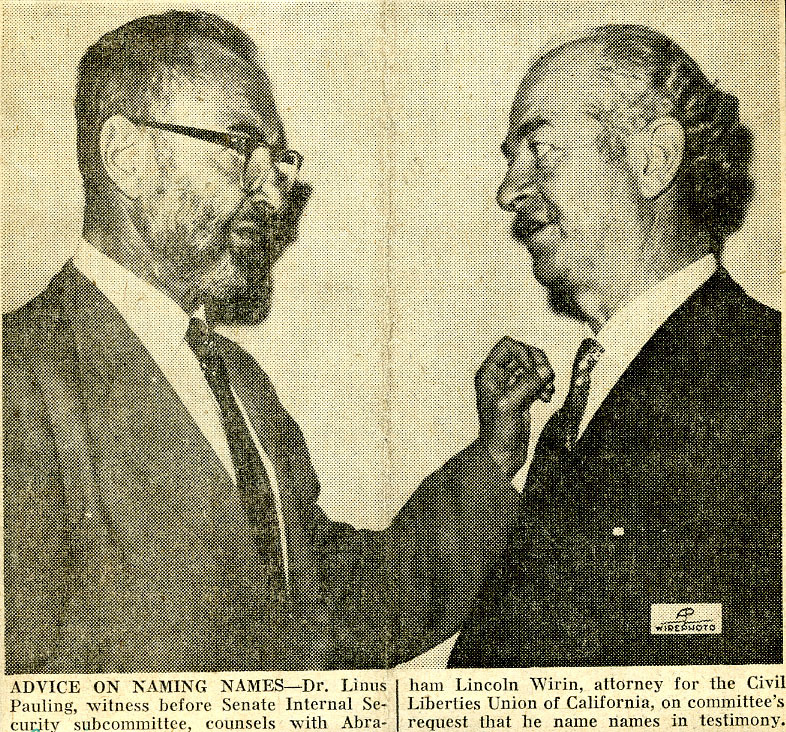 Dr. Linus Pauling, Cal Tech professor who is ring leader in the big noise against further atomic tests, now being staged with a congressional committee deserves identification…. The professor’s record shows him to be one of the most prolific Communist front joiners in the business; the suspect petitions he has signed are almost uncountable. Alongside his general travel engagements and mentions in the press, Pauling also gave a number of speeches and participated in several demonstrations while he awaited his hearing. On July 9, a couple weeks after his first appearance before the SISS, Pauling co-led a peace march with Ava Helen through downtown Los Angeles. When the march had reached its destination, Pauling addressed many of the topics that would characterize his speeches throughout the rest of the summer. He discussed the apocalyptic consequences of a nuclear war, the development of nuclear weapons and the need for international bomb-test agreements, as well as cooperation with the Soviet Union. Pauling also continued to speak out about the dangers of fallout and the need for total nuclear disarmament. And he attempted to emphasize the relationship between peace and freedom, a topic made even more relevant by the impending circumstances of his battle with the SISS. Though the subject did not tend to overwhelm his general message, he took great care to mention his difficulties with Senator Dodd whenever the chance arose. When speaking of Dodd, the intensity of their association often showed through Pauling’s choice of words. During his speech after the march through downtown LA, Pauling criticized the “madness” and “evil” of Dodd’s pro-nuclear viewpoints. 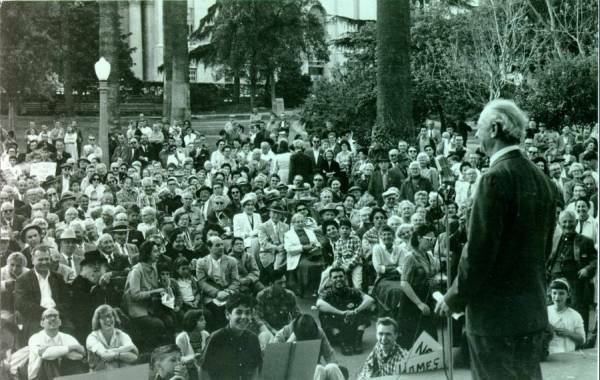 Linus Pauling speaking at a peace march in Westlake Park. Beverly Hills, California. 1960. Once the hearing was postponed to October, Pauling and Wirin attempted, unsuccessfully, to push the proceedings further back, to November. Thwarted in this effort and pressed for time, Pauling worked to address some of the committee’s pending requests. He directed Wirin to send committee counsel Jules Sourwine a list of the names and addresses that he had sent petitions to, as agreed, and took measures to consolidate all signatures contained in the petition for presentation. He furthermore had a book bound with 438 pages of names from U.S. petition signers and assembled all the signatures to be handed over for photostatic copying. Pauling questioned the committee’s authority to demand signatures from other countries however, and spent some time discussing this aspect of the committee’s expectations with Wirin. He likewise harbored many similar concerns about the legitimacy of the committee’s authority regarding other requests, and began taking substantive legal measures to address them. Pauling was planning to refuse a part of the committee’s request with finality, and understood well the potential consequences for the crime of contempt. He was determined therefore to resolve the matter before his scheduled appearance in October. He first sought a declaratory judgment from a federal District Court which would state that he need not submit to all of the committee’s demands. After losing the case, he appeared before the Court of Appeals for the District of Columbia which also ruled against him. Numerous legal examinations following Pauling’s ordeal surmised that the decisions handed down against Pauling in both cases were likely not made because of their legal merit, but rather because the controversy between Pauling and Dodd had not become clear enough to permit adjudication. Pauling eventually appealed to the United States Supreme Court, but his case was pending up to the day of his appearance before the SISS. Though Pauling’s attempt to prevent his full hearing before the SISS was carried out with zeal, it appears that the courts had no desire to intervene in the matter before appropriate measures had been taken by all parties. After months of maneuvering and preparation, Pauling arrived in Washington, D.C. in October several days before the start of his hearing. At 11 PM on October 10, the night before his scheduled SISS appearance, Pauling was served with a subpoena outside of the Congressional Hotel in Washington, D.C. The subpoena commanded Pauling to bring with him all signatures to the petition, and all letters by which such signatures were transmitted to, or received by him. With Abraham Wirin by his side and a bound list of petition signatures in hand, Pauling made ready the final preparations for his case. Subpoena served to Linus Pauling the night before his October SISS hearing. "Nobel Winner Defies Probers," Baltimore Sun, June 22, 1960. 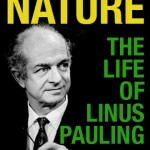 Shortly after his first appearance before the Senate Internal Security Subcommittee, Linus Pauling’s counsel succeeded in postponing the scheduled follow-up hearing from August to October, 1960. The extra time gave Pauling room to plan for his upcoming defense, and to resume plans he had made before being served with the SISS subpoena. In due course, he attended rallies and events to which he had previously been committed, making sure to discuss his dispute with Senator Thomas Dodd whenever a chance presented itself. He also encouraged people to write to their representatives in protest of his treatment, and gave many critical interviews to the media. 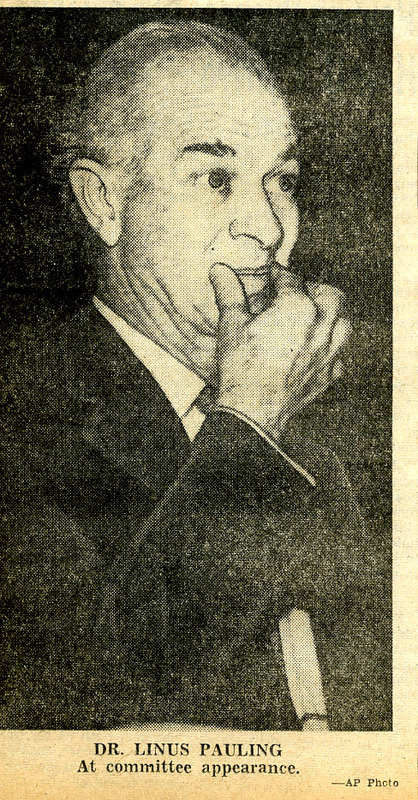 Pauling was gaining popular support, evident in part from the positive mention he received in editorials and letters to the editor across the country, including this write-up in the Washington Post. Justice is best served at times by those who defy authority. Prof. Linus Pauling offered a splendid illustration of the point, we think, when he refused the other day to give the Senate Internal Security Subcommittee the names of persons who had helped him circulate a petition in favor of the abandonment of nuclear weapons tests. Pauling felt that he had been subjected to a great injustice. Though he had remained calm and civil during the questioning, his anger took little time to surface after the encounter. He resented the hearing in a general sense, and was particularly embittered by a few particular aspects of the experience. He took his time reading over the hearing transcripts, slowly digesting the implications of the Subcommittee’s line of questioning. After combing through his testimony, Pauling wrote a letter to the SISS that was eventually attached to his testimony, and thus made part of the public record. The letter expressed his sense of victimization, detailing six specific points from the Subcommittee questioning that he found to be exceptionally inappropriate. Pauling took special offense to the title that was given to his hearing, “Communist Infiltration and Use of Pressure Groups,” a decision by the Subcommittee that seemed particularly baleful and malfeasant. Pauling emphasized that the Subcommittee had both no substantive reason to suspect that he was involved with communism or communist conspiracy, and that no new evidence connecting him to communist activity was revealed by the end of the hearing. Damage was done to me by your false statement and by my having been questioned on the basis of your false statement. No matter whether the false statement was made (by your Chief Counsel) through gross carelessness or through malignancy, I protest this action. A similar point of contention involved a letter that the Subcommittee introduced into the record, which it had received from a staff member of the United Nations. It stated that while Pauling had listed a certain number of petition signatures in his original press release, the United Nations had only received a portion of that number – an error that, as it turned out, was attributable to the UN. Though the staff member’s mistake was eventually clarified for the record, Pauling was later informed that the Subcommittee had been previously aware of the error. Indeed, a complete and accurate list of the names, matching those specified in Pauling’s press release, had been in front of the Subcommittee during the hearing. Pauling accused the Subcommittee members of intentionally entering the untrue statement into the record in order to damage him, by defaming his reputation and casting doubt upon his integrity. "Opinions Split on Dr. Pauling," Los Angeles Mirror News, July 6, 1960. I consider this veiled threat, this intimation of the fate that awaited me if I did not conform to the demands of the Subcommittee, to be unworthy of the Senate of the United States of America. My respect for Senator [Norris] Cotton would be greater than it now is if he had said straightforwardly that for me to refuse to give the Subcommittee the information demanded by it might lead to my citation for contempt of the Senate and to a prison sentence. I prefer straightforward statements of fact to veiled threats and attempted intimidation. I prefer the forthright search for the truth to the sort of trickery and misrepresentation that in my opinion has been revealed by the proceedings in my hearing before your Subcommittee. On top of his continued interactions with the press and his efforts to revise the published hearing testimony for the public record, Pauling also took direct legal action after the first hearing. In particular, he sought a declaratory court judgment that would affirm his right to refuse the Subcommittee’s request. In so doing, he was attempting to clarify his position and reduce his risk in the matter, but the District Court and Court of Appeals for the District of Columbia both ruled against him. He appealed and, at the start of his second hearing in October, his case was pending before the US Supreme Court. Pauling also continued to travel during the interlude between his hearings, visiting London and Geneva, where he furthered the discussion of an atomic test-ban treaty with American, British and Soviet officials. He received a great deal of support during the trip, and the pressure from the hearing, as well as the threat of imprisonment, seemed to lessen as a result. Though Senator Dodd attempted to address Pauling’s growing campaign against the Subcommittee, increasing his rate of public retaliation as the second hearing date grew closer, he found that he could not match Pauling’s intensity and drive. Recognizing the seriousness of the situation, Pauling was trying very hard to avoid jail time. At the same time, he was defending his reputation (and thus his very livelihood) as a scientist, academic and activist. Dodd’s political gambit for an increased share of national spotlight, however much buttressed by honest concerns about communist subversion, was no match for Pauling’s grasp of the situation’s severity. As the second hearing drew closer, Pauling’s resolve continued to strengthen. Pauling’s supporters, on the other hand, remained anxious, as the outcome of his fate, which lay at the discretion of Senator Dodd and the SISS, remained elusive. When his June hearing before the Senate Internal Security Subcommittee was resumed two and a half hours later, Linus Pauling agreed to submit a list of the individuals that he had sent petition requests to, but refused to submit a list of those who returned more than one signature. In making this stand before the Senators, he spoke eloquently to the necessity of his decision and explained his refusal of the Subcommittee’s request. The circulating of petitions is an important part of our democratic process. If it were to be abolished or greatly inhibited, our nation would have made a step toward deterioration – perhaps toward a state dictatorship, a police state. I am very much interested in our nation, in the United States of America, and in the procedures that were set up in the Constitution and the Bill of Rights. Now, no matter what assurances this subcommittee might give me about the use of the names of the people who circulated the petition that I wrote, I am convinced that these names would be used for reprisals against these believers in the democratic process, these enthusiastic, idealistic, high-minded workers for peace. I am convinced of this because I myself have experienced the period of McCarthyism and to some extent have suffered from it, in ways that I shall not mention. I am convinced of it because I have observed the workings of the committee on Un-American Activities of the House of Representatives and of this Subcommittee on Internal Security of the Judiciary Committee of the Senate. I feel that if these names were to be given to this subcommittee the hope for peace in the world would be dealt a severe blow. Our nation is in great danger now, greater danger than ever before….This danger, the danger of destruction in a nuclear war, would become even greater than it is now if the work for peace in the world, peace and international law and international agreements, were hampered. A terrible attack is being made now in the United States on the efforts of our government to achieve international agreements for stopping the bomb tests and for disarmament. This attack is being made by representatives of defense industries who benefit financially from the Cold War….I believe that the work for peace and morality and justice in the world needs to be intensified now, and I plan to do whatever I can in working for peace in the world, working for international agreements about disarmament. Implicit in Dodd’s demand was the threat of a contempt of Congress charge, an offense that could lead to imprisonment should Pauling fail to comply. Following the order, the hearing was recessed. Pauling spoke with the press after finishing his testimony, criticizing the implications of the subcommittee’s requests, and justifying his refusal to turn over the list of signature collectors. Though Pauling had, by and large, met the committee with patience and cooperation, there were a number of issues that had yet to be addressed or accounted for, including several contentious sections of testimony that Pauling wished to read over. The tone of the hearing had turned somewhat sardonic by its end, and Pauling’s indignant interpretation of the proceedings quickly made its way into headlines across the nation. In the days following his June hearing, Pauling felt that broad national support was building for him generally, but there remained much preparation to complete before his next appearance before the Subcommittee. 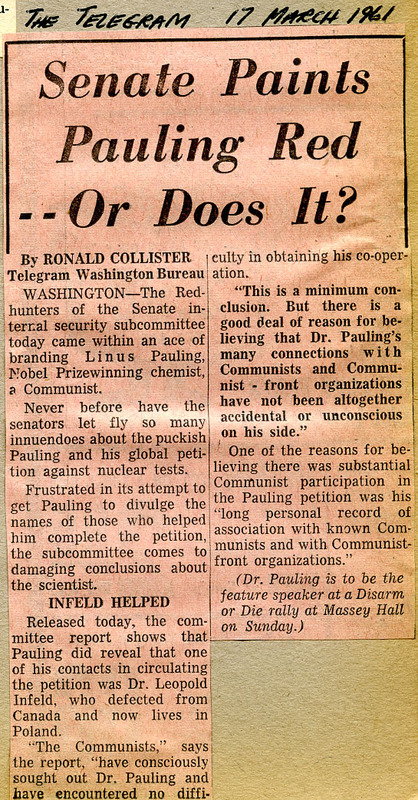 "Senators Quiz Pauling On Petition Backers," Washington Star, June 21, 1960. 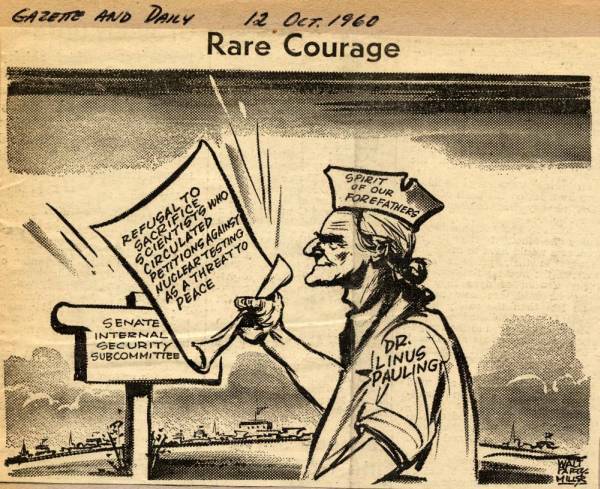 Linus Pauling was ordered to appear before the Senate Internal Security Subcommittee (SISS) on June 20, 1960. He and his counsel arrived on time, as requested, at the New Senate Office Building in Washington DC, but the Senate was in session, and Pauling’s hearing was postponed until the following morning. Aside from the inconvenience of delay, Pauling was likewise, that day, notified for the first time that the hearing would be an executive session, and thus not open to the public or the press. Though the delay further aggravated his disposition, Pauling made good use of the extra time that was allotted to him, appearing before the press and giving several interviews. He also sent a telegram later that evening to Senator James O. Eastland, Chairman of the Judiciary Committee, of which the SISS was a Subcommittee. Pauling voiced his concerns about the closed session, and requested that his hearing be open to the public. When I appeared this morning as commanded I was surprised to learn for the first time that the session, postponed by you until 8 A.M. tomorrow, is to be an executive hearing closed to the public and the press. I do not like secrecy and I wish to present my testimony in public. I have nothing to say that needs to be kept secret and I neither require nor desire the protection of an executive hearing. Pauling made it clear that the stated concerns of Senator Thomas J. Dodd and the Subcommittee for keeping the hearing closed – mainly to protect his Pauling’s rights as a witness – were unwarranted. His noisy protests of this decision were treated sympathetically in several prominent newspapers the following morning. …while the particular objective of the session today is to learn what we can from this witness respecting communist activity in connection with protests against nuclear testing, we shall also seek other information respecting communist activity if it appears that such information might be available from this witness. Having established the Subcommittee’s privilege to address the matter, Dodd briefly placated Pauling before moving on with his agenda. It is interesting to note that while the trial is commonly perceived as a battle between Pauling and Senator Dodd, it was Chief Counsel Jules Sourwine who conducted a majority of the questioning during the hearing, allowing Senator Dodd to play a peripheral yet authoritative role. Chief Counsel Sourwine soon made it clear that the main topic of interest for the hearing was the nuclear test-ban petition that Pauling had submitted to the United Nations more than two years earlier. 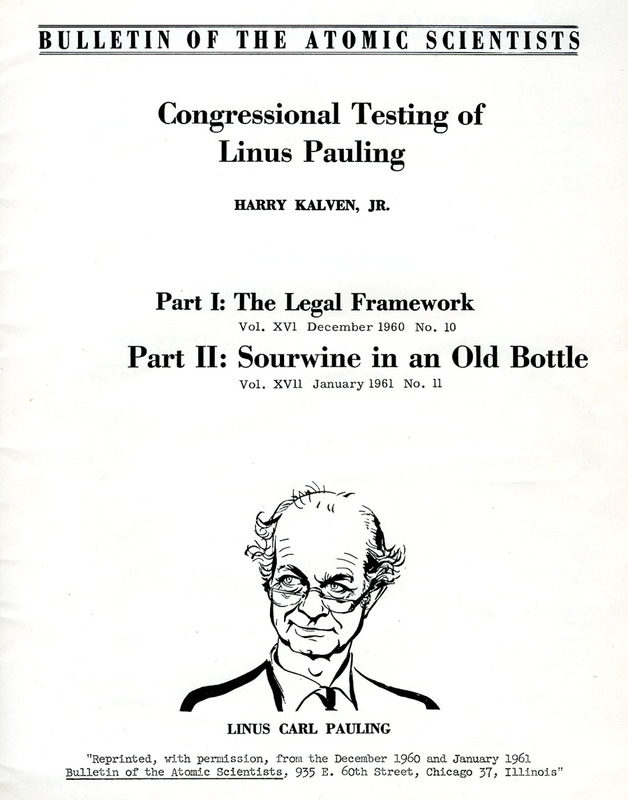 After reading aloud the press release which had preceded Pauling’s petition submission, Sourwine began asking about the signature collection process that Pauling had utilized in compiling the petitin. The Subcommittee had previously acquired a copy of the petition from the United Nations, and after determining that Pauling had not received each petition signer’s name on separate sheets of paper, Sourwine requested from Pauling the names of those individuals who had collected and turned in more than one signature. I feel some concern about my duty to the people who worked for this petition. I feel concern that they may be subpoenaed before this Subcommittee, subjected to the treatment that I have been subjected to. Senator Dodd justified the request by mentioning discrepancies that his staff had encountered with names that Pauling claimed were on the petition as well as the number of signatures reported by a United Nations staff member. Following the hearing it was determined that responsibility for the error in reporting the total number of petition signatures resided with the U.N., but the allegations during the hearing still served to question Pauling’s penchant for truth. The Subcommittee then addressed the formation of the petition, the sources of the petition’s funding, and the nature of the roles played by Russian and other international scientists. Chief Counsel Sourwine spent time during the morning hearing’s final portion to discuss Pauling’s questionable affiliations with suspected communists and communist fronts, including the National Council of the Arts, Sciences, and Professions and the organization that had printed the petitions. Finally, as noon approached, Sourwine again requested both a list of individuals that the petition had been sent to and a list of the individuals who had delivered multiple signatures, with an indication of how many signatures were sent in. The hearing was recessed, and Pauling was given a chance to consult with his counsel, Abraham L. Wirin, about how to respond to the Subcommittee’s final requests. Thomas J. Dodd, ca. 1950s. 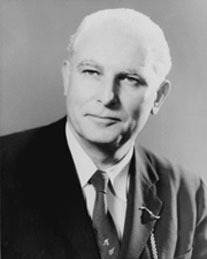 When Linus Pauling was called to appear before the Senate Internal Security Subcommittee in June 1960, Thomas J. Dodd was the active Subcommittee Chairman. Pauling’s perception of Dodd was strongly (and understandably) shaped by the unjust position in which he had been placed by the Subcommittee. However the true character and life of Thomas Dodd, as revealed by those who knew him personally, is full of complexity and suggestive of the prevailing practices of U.S. government officials around the middle of the previous century. Thomas Joseph Dodd was born in Norwich, Connecticut on May 15, 1907. There he attended public schools, and received training in Roman Catholicism throughout most of his childhood. He earned his bachelor’s degree from Providence College, and received a law degree from Yale University in 1933. He married a year later, and eventually raised six children. Dodd worked at the Federal Bureau of Investigation as a special agent for one year, before being appointed Director of the National Youth Administration for Connecticut. He later served as Special Assistant to the Attorney General, during which time he was best known for his role in the prosecution of Ku Klux Klan members in South Carolina and for defending labor rights in Georgia. During World War II, Dodd primarily worked on cases involving espionage and sabotage, but also played a role in uncovering fraud by American industrial firms. Following the end of the war, he was solicited to aid in the prosecution of Nazi war criminals at the Nuremburg trials in Germany. Active in virtually all aspects of the prosecution, Dodd served as Vice-Chairman of the Review Board and Executive Trial Counsel, essentially making him the second ranking lawyer and supervisor for the U.S. prosecution team. After returning from Europe, Dodd entered into private practice and was subsequently elected to the U.S. House of Representatives in 1952 after an unsuccessful run for governor of Connecticut in 1948. Ten years later, in 1958, he was elected to the U.S. Senate, serving on the Judiciary Committee and the Senate Foreign Relations Committee. As part of his duties he co-chaired the Internal Security Subcommittee, the junction at which he crossed paths with Linus Pauling. Dodd was known by colleagues for his low level of partisanship, but he was more widely recognized for his stance as a strident anti-communist. (The journalist Drew Pearson referred to him as a “bargain-basement McCarthy.”) His world view was fundamentally inspired by notions of loyalty, and he made a name for himself as one who remained loyal to beleaguered political figures in times of crisis. To his family and those close to him, he was admired for his mirth, humor, generosity and capacity for fellowship, and during his career as a public servant, Senator Dodd often felt he was upholding a strict moral code. Despite his seemingly lofty ideals and persona however, Dodd faltered as he became increasingly intermingled in prevalent and customary forms of political graft. 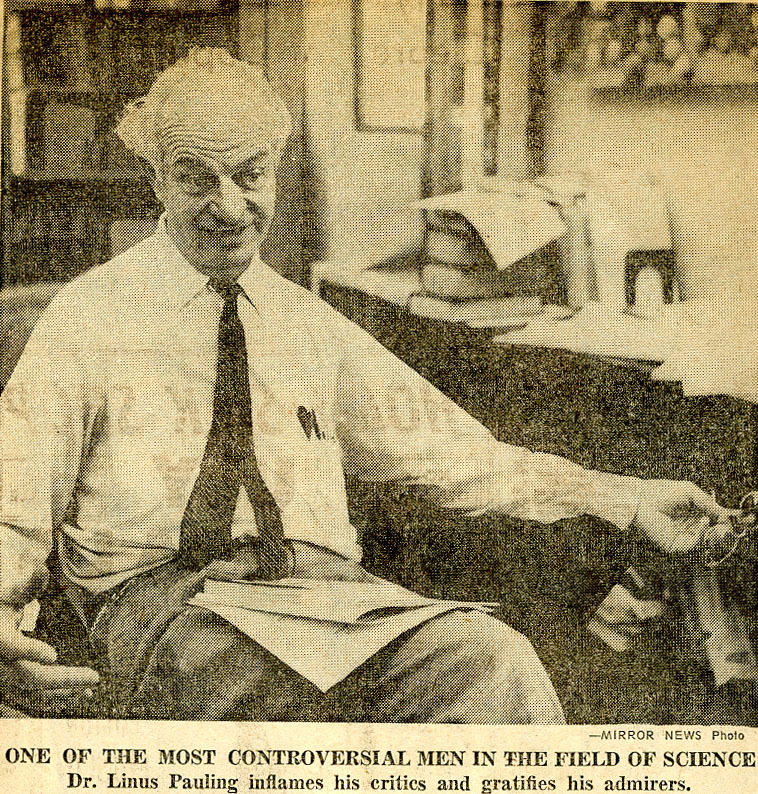 Though the events that transpired in 1960 with Linus Pauling proved a major event, the time he spent on the SISS was seen by supporters and critics alike as a comparatively minor chapter in his life. He is instead more widely recognized in general both for his notable rise through U.S. institutions, as well as for his misconduct with regard to government ethics violations. His crimes reflected practices that were common in most spheres of state and national politics at the time, and he was reprimanded reluctantly for his transgressions. It is the judgment of the Senate that the Senator from Connecticut, Thomas J. Dodd… deserves the censure of the Senate and he is so censured for his conduct, which is contrary to accepted morals, derogates from the public trust expected of a Senator, and tends to bring the Senate into dishonor and disrepute. Senator Dodd’s censure, which took place seven years after his confrontation with Linus Pauling, made him the first Senator in U.S. history to be censured for financial misconduct. (He was also the first Senator to be censured since Joseph McCarthy in 1954, and one of only six Senators censured over the whole of the twentieth century.) Though the possibility of criminal investigation from the IRS and Justice Department loomed overhead, Dodd carried on much as though nothing had happened. Ignoring an outcry for his resignation, he remained on his committees and continued to exercise his basic senatorial duties. The Senate appeared to Dodd not as a harsh and extracting judge, but as a permissive and protective accomplice. His occasional inanities in debate would always appear in the Record as words of wisdom. His absence would be reported as a presence. His vacation trips would not only be paid for by the Senate, but would be billed as ‘official business.’ His honorariums and legal kickbacks and finder fees and gifts were excused from the prohibitions that covered all government officials except Congressmen and Senators. His fraudulent campaign reports would always be accepted at face value. Not only could he keep unsavory contributions, he could route them through the Senate Campaign Committee and thus hide their origin. He could use his official allowances to buy birthday presents, wedding invitations, and the like, and no one would know. He had reason to consider himself immune from investigation. Spurned by the Democratic Party, Dodd lost in his bid to run as an Independent in the 1970 Senate re-election campaign. Less than one year later, on May 24, 1971, he fell victim to a heart attack, dying in his home at the age of 64.